Do you dream of finding an exercise routine you can become obsessed with? Your search is over. Meet Peloton. 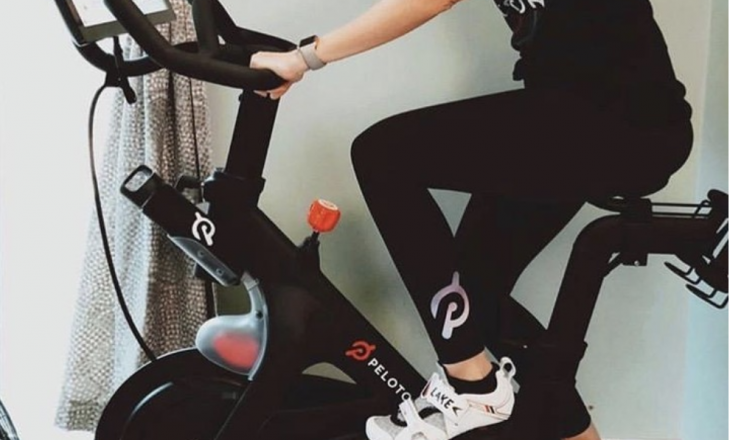 Peloton is much more than just an exercise bike — it’s an interactive experience that offers live spin classes taught by some of the most motivating athletes in the world and an encouraging community of riders that always has your back. When you clip into your bike, you immediately feel like a competitive athlete as you race with your friends on the leader board. Check out these fitness tips for a celebrity workout experience unlike any other! Check out our product review and bring home your own virtual personal training bike! Whether you’re a trained athlete, a stay-at-home-mom, or someone just looking to get in shape, this bike caters to everyone. The Peloton has benefits for all different types of people with the same goal, to be their best selves. Deciding to make this investment may be a tough choice, but it’s one you won’t regret. If you feel like it’s time to stop making excuses and you’re ready to be in the best shape of your life, visit their website to learn more about purchasing the bike. From day one, the Peloton customer experience exceeds expectations. Your bike arrives in a black, shiny, Mercedes-Benz-van, adorned with a white Peloton logo. Once inside, the delivery drivers help set up your new obsession. They’ll put your bike together, secure the pedals, fit your shoes to the clips, and even prepare you for your first class by demonstrating the correct posture for riding. Related Link: Product Review: The Coolest Gadgets to Achieve Your Fitness Goals! Once you clip in for your first ride, you’ll be hooked. Your first ride may be challenging and intimidating, but rest assured you’ll be invigorated to keep riding. You can choose to ride on demand or via live classes with motivating, inspirational instructors that will encourage you to try your best. The workouts you’ll be engaging in will keep you active and inspire you to change your diet. We forgot to mention to keep an eye out for celebrity riders on the leader board, you never know who might be racing toward the finish line alongside of you. Give Peloton a try and we promise you won’t be disappointed. You’ll soon be on your way to ultimate fitness and living the healthiest possible lifestyle. Do you love the Peloton as much as we do? Share your experiences below.